Windows provide the ability for us to view the outdoors from the comfort of our homes. In many cases we might take them for granted, but the windows are a highly important part of our house. If our windows are low quality, they might freeze during the wintertime or fog up during the summertime. A window that doesn’t open or close cannot only be embarrassing to others but it might leave our rooms vulnerable to weather or prevent us from catching a cooling outdoor breeze. Additionally our windows function as a form of insulation. Leaky windows will allow heat to escape in the winter, which can really add to heating costs. Conversely poorly functioning windows will allow warm air to enter the home during the summer and raise the cost of air conditioning. Finally the windows need to be easy to clean. Window screens should be easily removable which allows people to escape the house in the event of a fire or to clean them. The windows themselves should also be removable or they need to be large enough for a fire escape as well. Many windows are low-end vinyl windows. These replacement windows will still provide insulation, but they really lack the pleasing look of a high quality wood clad replacement window. Not only do the high quality windows offer a real wood finish, they are also more energy efficient which can save a homeowner on utility costs. When the time comes to install new windows either as a replacement or in the event of building onto the house, a good residential contractor is the best person to contact to ensure the job is done correctly. TR Window Services is that contractor. We install high quality, energy efficient windows. We are based out of Littleton, Colorado but we also serve the Denver and Boulder areas as well. What sets us apart from other window companies is that we are not a vinyl window company. Instead our focus is on the high quality wood or composite windows and we value customers and referrals over big money advertising. We sell and install products, plus we will service them at no cost in the event of a warranty or service claim after installation for 10 years. * For customers who need a good Denver window company TR Window Services is available to serve the Denver Area. That is also true for customers in Boulder as well. 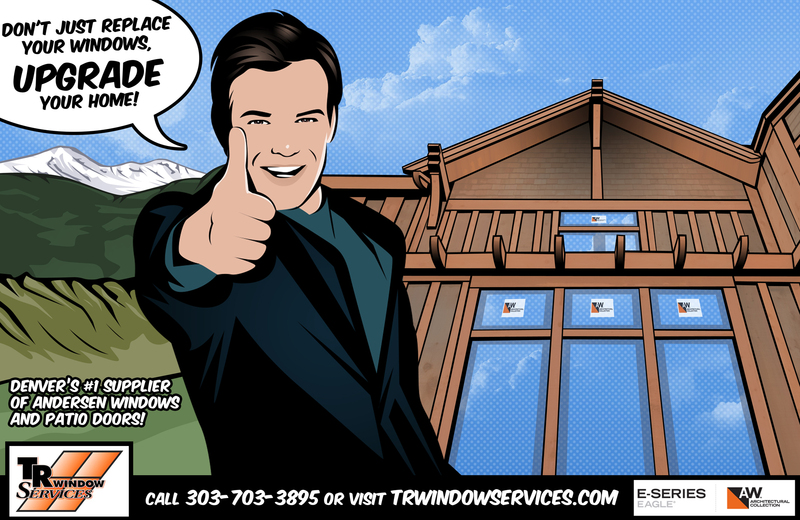 Just do a quick Internet search for “boulder windows” to find TR Window Services. They will be able to make recommendations that will make your home look great while still being able to stand up to the extreme Colorado climate. High quality Andersen windows will add a luxury look to your home, improved energy efficiency. Combined with the service and customer satisfaction that TR Window Services has to offer, you can rest assure that the job will be done right. Please visit www.trwindowservices.com for additional details or information. There is also a contact form on the website if you need to get in touch with us.